Tradeshow of Scouting – Summer Roundtable | Signs Up! 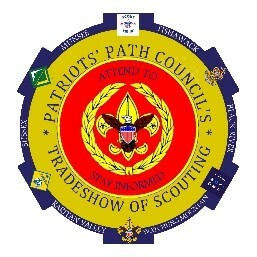 The Tradeshow of Scouting, Monday June 3th, runs from 5:45-9:00 pm at the Birchwood Manor in Whippany. All Scout leaders and parents in the Patriots’ Path Council are invited to attend. Over 80 tables of vendors and PPC committee volunteers are handing out information on programs for the 2019-2020 year. Learn about Popcorn, the Intrepid, Staten Island Yankees, Somerset Patriots, skiing opportunities, camping, shooting sports, summer fun, historical places to visit, programs for earning rank requirements and much more. There is something for all program levels – Cub Scouts through adults. Come and find new things to put in your 2019-2020 unit program. Door prizes are plentiful as are the free appetizers and the fellowship. find the Tradeshow well worth their time. Note: Currently we are registering vendors and committees. If you know an organization or company with a program or event that might interest Scouters, send them to this link.